Our home was in desperate need of renovating but we wanted to find the best designer to assist us in transforming the space. An initial phone call to PSD for a little renovating advice has turned into a complete home transformation. 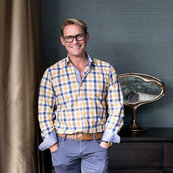 If you are looking for a clean creative interior designer Peter is your man. He works well to briefs or can come up with wonderful designs.